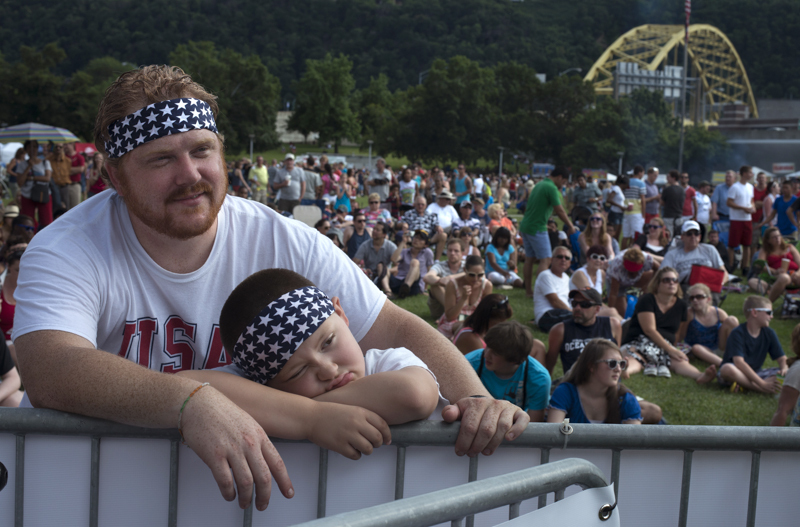 Thousands converged on Point State Park last week despite the humidity for the annual summer extravaganza known as the 2013 EQT Pittsburgh Three Rivers Regatta. Now combined with the Fourth of July holiday, the nations largest inland regatta is in its 36th year and continues to attract Pittsburghers from all walks of life. 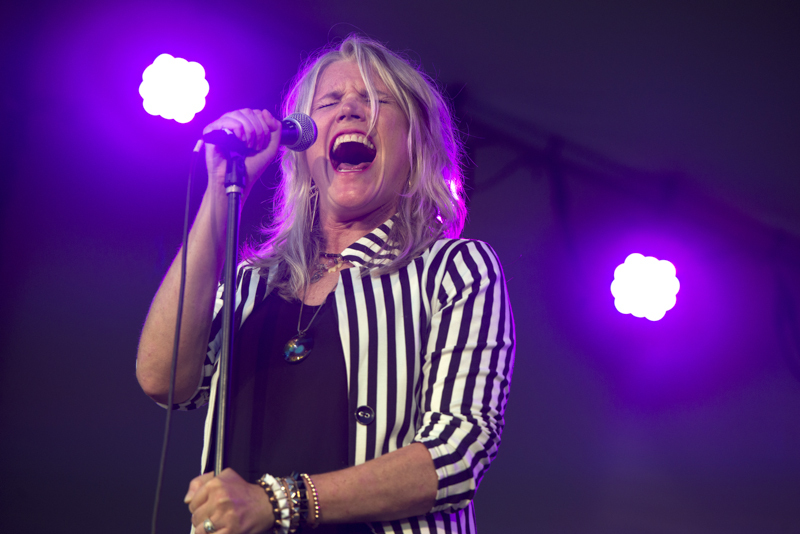 Always eclectic, this year did not disappoint with high flying dogs, sugar laden funnel cakes and two nights of brilliant pyrotechnics. Please click on the photo below to view the slide show. Jason Williams and his son Colin, age 7, watch the BRGR eating contest at EQT Three Rivers Regatta in Point State Park. 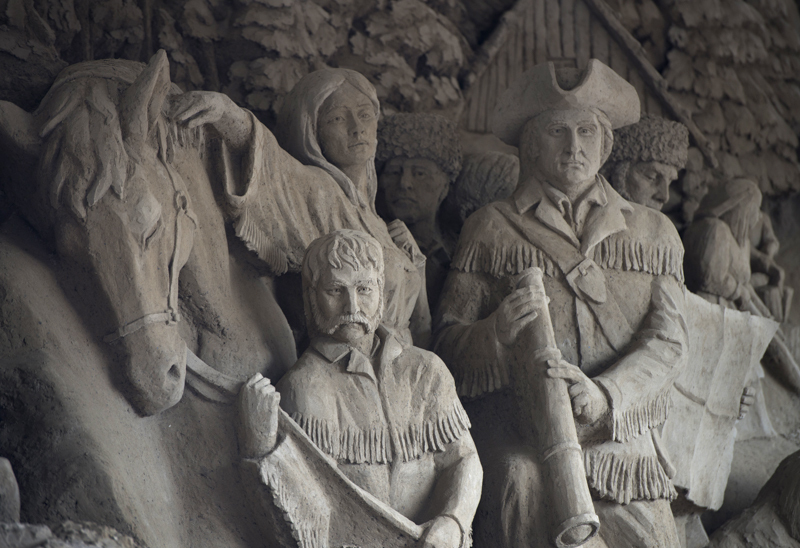 Thomas Koet and his Sandsational artists sculpted "America's Pioneering Spirit" from 160 tons of sand. 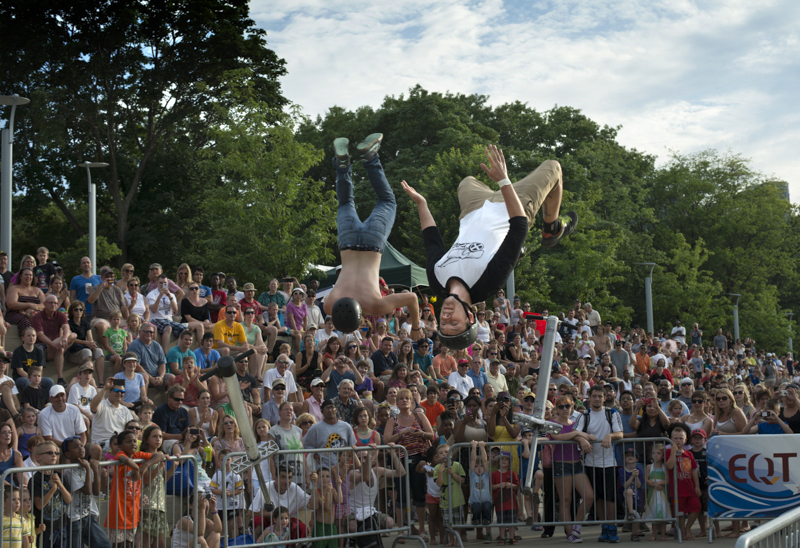 Tone Staubs (left) and Nick McClintock (right) of Xpogo perform dual backflips off their pogo sticks. 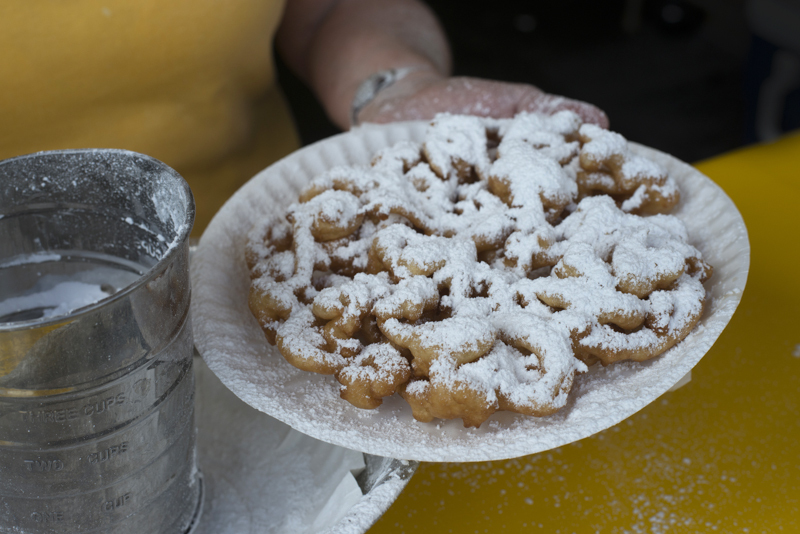 Funnel cakes are a Regatta favorite. 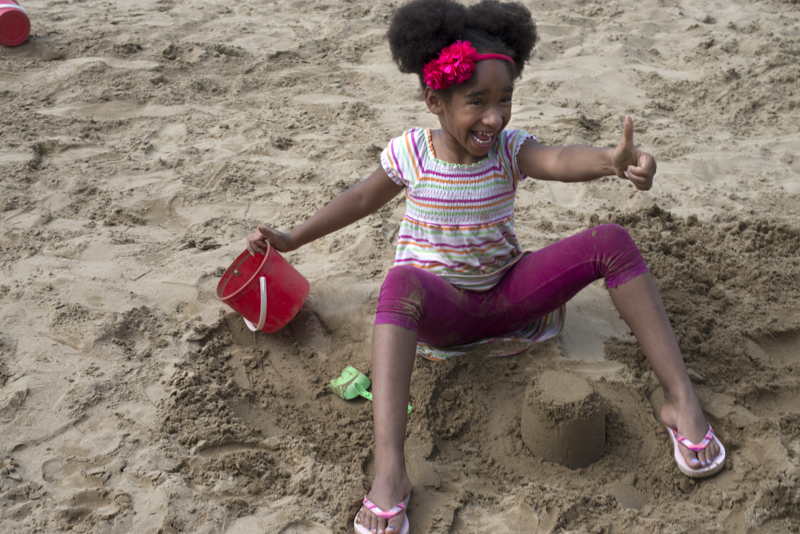 Denise McClain, age 5, flashes a thumbs up when asked about the Beach Burgh sandbox. 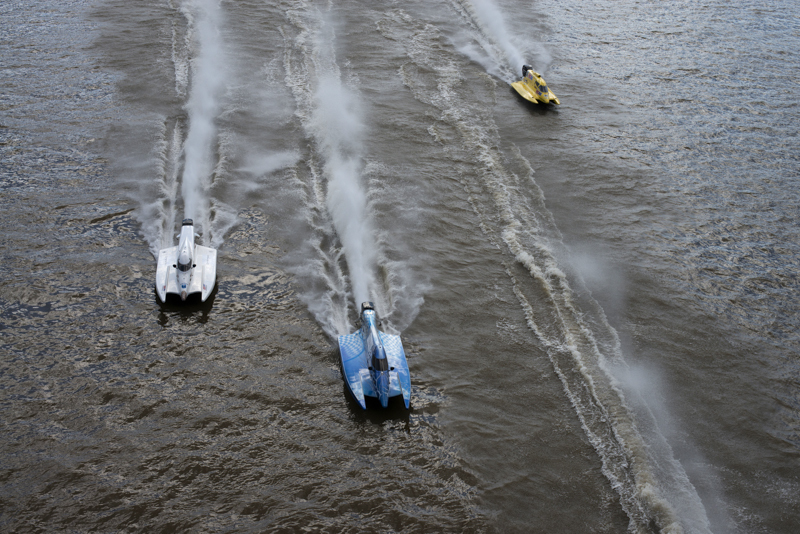 Qualifying heat for the Powerboat Superleague North American Championship on the Allegheny River. 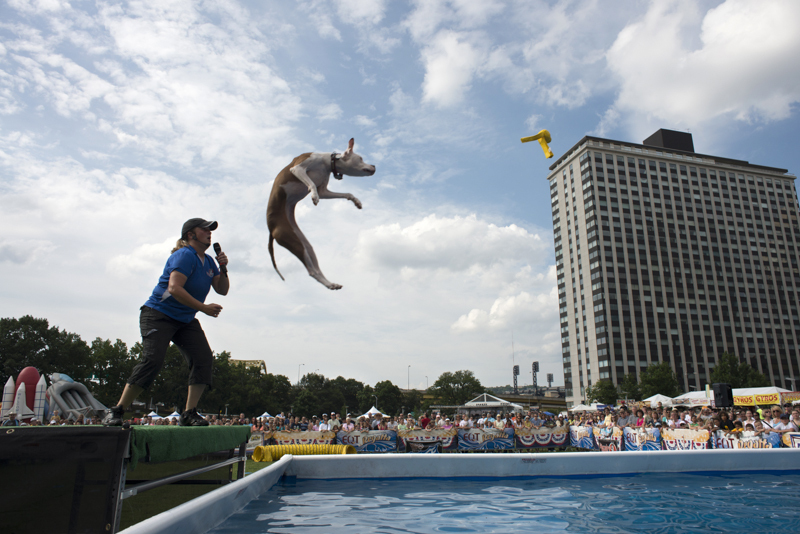 Trainer Kara Gilmore tosses a ball to Mee-ha during The Marvelous Mutts dock-diving performance. 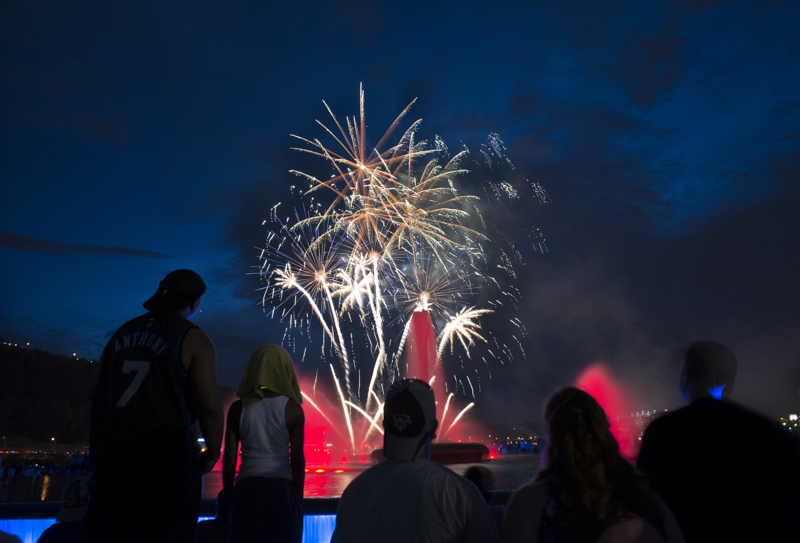 The three-day event ends with Zambelli fireworks over the Point in honor of Independence Day. 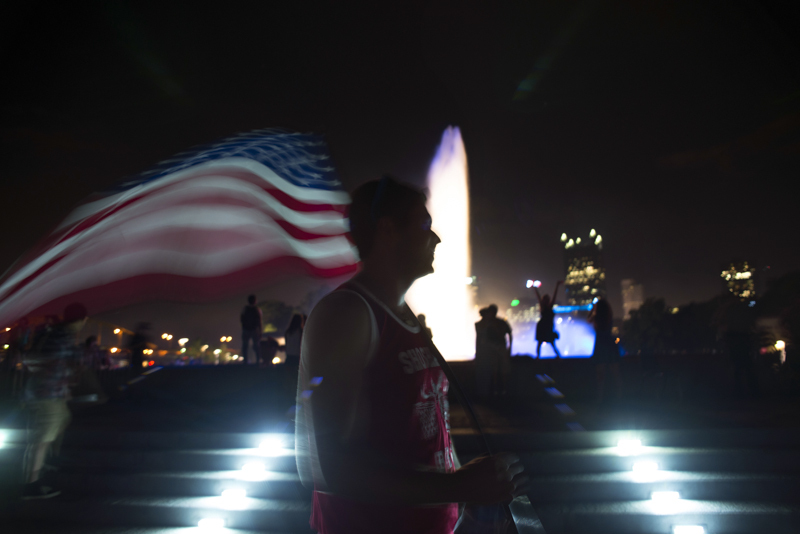 After the fireworks, Adam Livingston, of Churchill, parades the flag around the fountain at Point State Park.